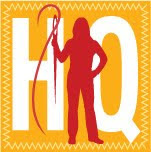 Saturday I had the pleasure of driving around parts of Los Angeles,Orange and San Bernardino Counties with listener Tami and her friend Debbie as we visited seven different quilt shops on the Southern California Quilter's Run. We had such a great time figuring out where they were located, meeting funny demo gals, enjoying a great lunch and looking for new fabrics, rulers and notions. Five of the seven stores we visited were new to me and I look forward to visiting them again soon. Well, maybe not the ones so far away - I'll catch them again on the next run. 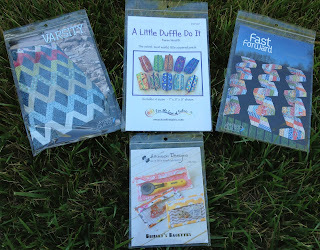 They are: Varsity and Fast Forward Patterns from Julie Herman of Jaybird Quilts. A Little Duffle Do It by Karen West and Bridget's Bagettes by Atkinson Designs. The Rulers: 4 1/2" x 4 1/2" and the Lazy Angle Creative Grids rulers, A Quick Quarter II by Quilter's Rule and the Wing Clipper from Deb Tucker of Studio 180 Design. Today I went to the Los Angeles County Museum of Art (LACMA) for a school project where I was to view paintings of children to help me write an analysis of how those children were portrayed contrasted to the Approaches to Adolescence concepts I've been learning in my summer class. It was a great visit and I appreciate the assignment but it was so difficult to walk around LACMA without stopping, drooling and pondering about many other artworks. As I was with others I did not have the luxury to take my time but I hope to get back there again before the summer ends. Totally by chance, Levitated Mass by Michael Heizer formally went on display yesterday on the LACMA grounds and of course I had to walk over and take a look. Yes, it is huge - at 340 tons how could it not be. Was it a waste to truck this megalith 105 miles from the Jurapa Valley in Riverside County to Los Angeles? Levitated Mass never took the freeway on it's journey - it traveled on side streets the entire way by night and even came very close to my own home. A lot of controversy surrounded the move with many of the opinion of what a poor choice of resources it was to move a rock. What do you think? Robin and I did about 4 shops on Saturday. As for the Levetated Mass, I love it. It was funded privately and it employed a lot of people. Long Beach had a "Rock" show when it stopped and I went over to see what it was all about. Fun, Fun, Fun. I need to go over and take a look at it not on the massive mover. Next time company it here from out of town. The rock is sort of scary. Not sure I would have the courage to walk under it... but for sure I would have gone on the shop tour!!! I am your newest follower. Check out my quilting adventures at www.piecedbrain.com and follow me, too! Have a productive week. oh what fun shop-hopping (that's what we call it here!) and you got some nice goodies! 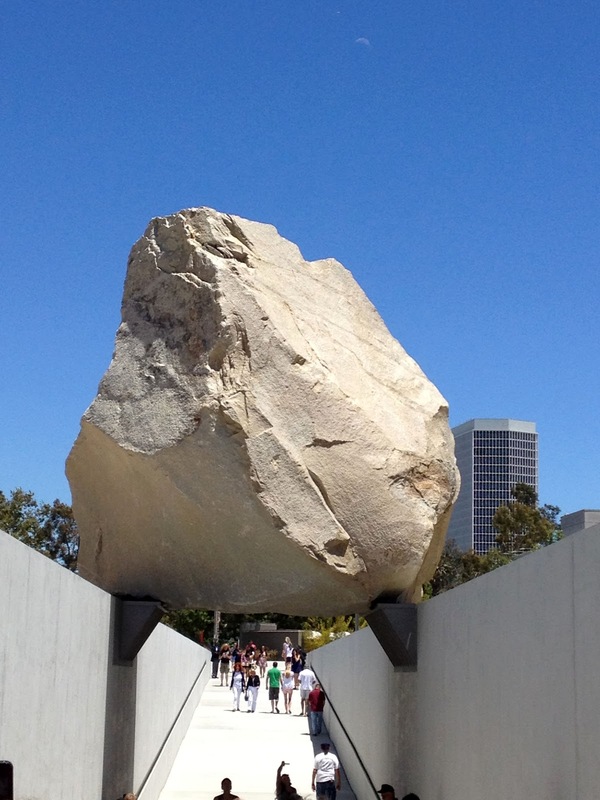 And RE: Levitated Mass - I heard about it on the radio the other day & am happy to see the picture here on your blog. Honestly, I think it's kind of cool 'art' and love how it's being used over the walkway. Random but fun. I love that rock. I had not heard about it before so thank you for sharing. Sometimes I think art should make people think and talk and have a bit of a magic quality to it. This one also celebrates nature too, what fun. Sounds like a fun day with so many shops to visit! I heard about that rock this morning on the news. Interesting. Can't wait to see what's for dessert! I heard about Levitated Mass on NPR recently, but I was unable to picture it in my head. Thanks for showing me what 'walking under the rock' meant! It might be a waste of resources, but I think most of us waste resources at times (dripping faucet, not recycling, buying gas guzzlers, not composting, forgetting our fabric shopping bags). Wasting resources is part of our culture. I think the rock is cool and a tourist attraction. I am not sure it is art. 7 shops! Lucky you! 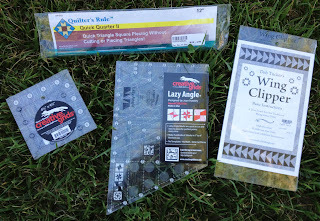 Is that Wing Clipper for flying geese blocks? I have been searching for a good ruler for those and had settled on the one from Kimberly Einmo, but none of the shops here had it. The rock is cool, but whose resources did they use exactly? If it was my tax dollars, I may disagree with that choice. If it was funded by donations, why does it matter? Not that it couldn't be used in more useful ways. What were the "mystery" gifts at the shops? glad you finally got the Wing Clipper and are increasing your ruler collection. They will be useful. I'm totally jealous that you were able to add not one, but two, new Creative Grids rulers to your collection! I really wish I could have joined you and your listeners on the quilt run. Maybe next time.